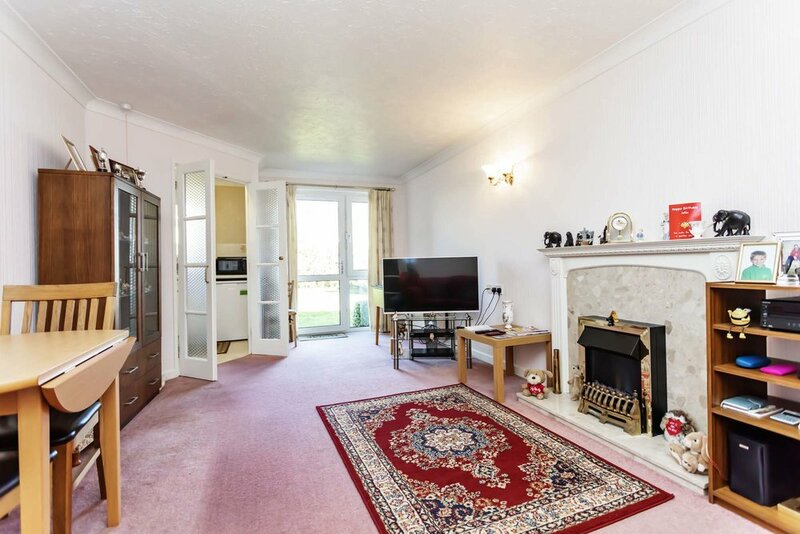 An immaculately presented ground floor apartment close to the beach. A great opportunity to secure one of the only apartments with its OWN ENTRANCE in this McCarthy & Stone built retirement building. Residing on the GROUND FLOOR this IMMACULATELY PRESENTED apartment has a modern shower room, large lounge/diner and a generous sized bedroom. St Marys Court is a well looked after development in the sought after area of Southbourne. St Marys Court was built circa 1992 by the beloved McCarthy & Stone, located in Southbourne just moments from the award winning beaches, this well presented development consists of circa 61 apartments over 4 floors all served by a lift. The apartments in St Marys are suitable for anyone aged 60yrs or over, or if your in a couple then one partner can be 55 as long as the other is 60yrs or over. St Marys Court also benefits from an in house manager and a large communal lounge area which also has a small kitchenette. There are also regular coffee mornings along with social activities that include regular film and quiz nights. It is a rare opportunity to acquire a ground floor apartment in this development coupled with the benefit of having its own private entrance directly into the lounge. As you enter the apartment you are presented with a spacious hallway, plenty of room for a large bookshelf along with a very generous storage cupboard on the right which also houses all the electrics for the property and a recently installed modern water tank. The lounge/diner is accessed through the door opposite and the large space opens up as you enter the room. The lounge/diner has an abundance of natural light due to the external door at the far end, which gives access to a grassed area at the front of the property and also acts as your own private entrance. The lounge offers plenty of variations to put a dining set and favourite chairs or the room can be arranged to make a feature out of the fireplace. The open plan layout is perfect for entertaining family and friends and the development also has a communal lounge for socialising with the other residents. Adjoining is the separate kitchen accessed through double glass doors, ideally set up so that you can close the kitchen off if you wish or have a more open plan feel and be able to chat whilst making the tea. The kitchen delivers a good level of worktop space along with eye and baseline units for storage. Appliances include a built in electric cooker with hood over and space for an under counter fridge and freezer with a large window over the sink looking out across the front garden. The bedroom runs adjacent to the lounge creating a really generous sized bedroom with large aspect once again looking out towards the well kept front garden, the room is decorated with neutral colours and has a luxury deep pile carpet. The bedroom also benefits from a double built in wardrobe. The bathroom has been recently updated by the current owners and offers a double length walk in shower with hand rails, accompanied by a wash basin and W.C. The bathroom is decorated to a high standard with floor to ceiling tiles. The development has communal laundry facilities along with a guest suite for family and friends to stay which is bookable via the house manager. The apartment is heated with electric storage heaters and there are emergency pull cords positioned throughout the apartment connected to a 24/7 care line. There is an allocated parking space with the apartment along with visitor parking onsite plus storage for mobility scooters with charging points. Service charge is every 6 months and is circa £952 with the ground rent for the same period being £238, the apartment has a lease of circa 99 years.